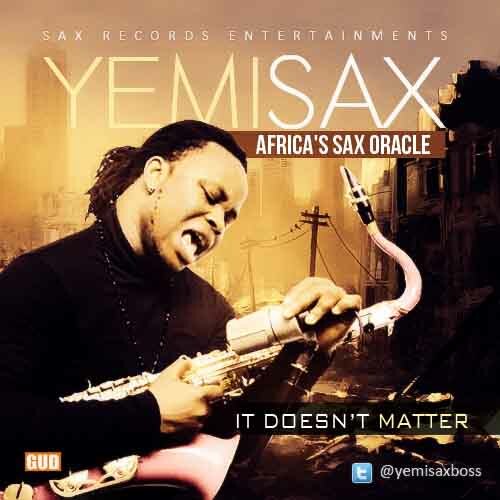 Just few weeks into the release of his last single which was a club jam "Feeling You" featuring Bashorun Gaa "9ice", The Africa's Sax Oracle "YemiSax" is back with another single and a classic one to be precise titled "It Doesn't Matter". The song "It Doesn't Matter" according to YemiSax celebrates real Love, True feeling, pure emotion and will as well encourage the few people that still believes in the big four letter word "LOVE". Saying Love knows no boundary! The song is another single off the forthcoming YemiSax Vocal/Saxophone album "ASOM" (Another Side Of Me) which already boast of one single "Feeling You" featuring 9ice. Watch out for the follow up single "Shawty Wanna Dance", a club quaking jam which will drop any moment and also be on the look out for four different musical videos this year from the No.1 SaxBoss.